The big news in stat changes is that Hit & Expertise are dead. So is reforging. Bliz decided that neither was fun, so they’re dead. All abilities that modified either stat are also dead. Once upon a time your Spell Haste %, Melee Haste %, and Ranged Haste % were different, though closely related, numbers. Now they have all been merged into a universal Haste %, which will make things easier. Ditto for crit, your Spell, Melee, and Ranged Crit % have been merged into a universal Crit %. Previously your primary stats (Ag, Int, Str) provided attack/spell power and a minor amount of Crit. Now Agility and Intellect no longer provides an increased chance to critically strike with melee and ranged attacks, abilities, or spells. The base chance to critically strike is now 5% for all classes. There are no longer different chances to critically strike with melee, ranged, and spells. There is a new passive, named Critical Strikes, which increases chance to critically strike by 10%. It is learned by Enhancement Shaman and the other Agility based classes. Classes/specs using Int or Strength get no such modifier. This time around Blizzard has decided (probably to major agreement among players) that there are just too many active abilities, causing “button bloat.” Too many buttons tied to too many abilities makes things harder than necessary. Naturally you don’t have a problem with that, but the other guy probably does. Note that most of the various “weapons” have been removed. 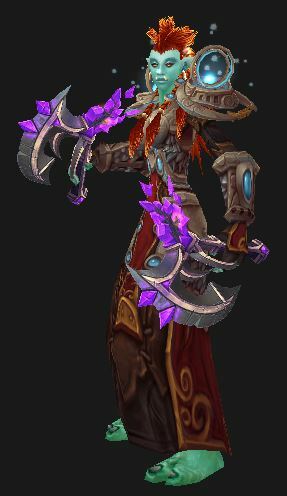 Bliz feels that there was always one right answer for each specialization, and so they made the appropriate Weapon Imbues passive to each spec, or tuned abilities around its removal. This seems to make perfect sense. Bind Elemental has been removed. Burning Wrath has been removed. Elemental Focus has been removed. Elemental Fury has been removed. Elemental Shaman now naturally have critical strike damage increased to 250% of normal damage. Elemental Oath has been removed. Earthliving Weapon has been removed. Flametongue Weapon and Windfury Weapon have been removed. Frostbrand Weapon has been removed. Mana Tide Totem has been removed. Restoration Shaman Mana costs have been adjusted to compensate. Primal Wisdom has been removed. Enhancement Shaman mana regeneration has been increased by 100% to compensate. Rolling Thunder has been removed. Elemental Shaman Mana regeneration has been increased by 50% to compensate. Searing Flames has been removed. Lava Lash damage has been increased to 280% weapon damage (up from 140%) to compensate. Unleashed Rage has been removed. Elemental Precision has been removed, as have all similar abilities for any class. In addition to removing a number of abilities they are restricting various abilities to one or another spec. Chain Heal is now available only to Restoration Shaman. Healing Surge now heals for 100% more when cast on self for Elemental Shaman. Spiritwalker’s Grace is no longer available to Enhancement Shaman. Earthgrab Totem now shares Diminishing Returns with all other root effects. Hex’s cast time has been increased to 1.7 seconds. Maelstrom Weapon can no longer reduce the cast time of Hex. Water Shield is now available only to Restoration Shaman, and replaces Lightning Shield. Bug Fix: Glyph of Shamanistic Rage should no longer cause Shamanistic Rage to incorrectly dispel Unstable Affliction or Vampiric Touch that has been modified by the PvP 4-piece set bonus. 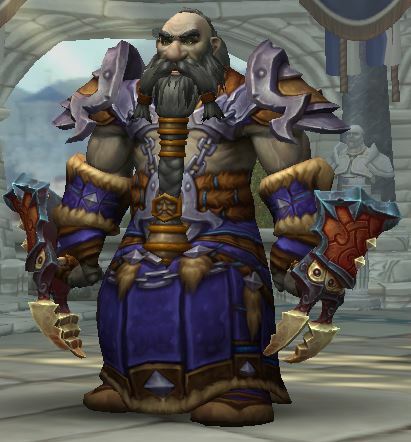 Shaman had a number of extra abilities that were consolidated to provide a smoother rotation flow. Mana regeneration and mana costs for Elemental and Enhancement were made compensate for abilities removed via Ability Pruning. Ancestral Spirit’s mana cost has been reduced by 95%. Chain Lightning’s damage has been increased by 50%. Grace of Air now also provides 5% Haste to all party and raid members. Frost Shock no longer generates additional threat. Lightning Bolt can no longer be cast while moving by default. Effects like Spiritwalker’s Grace can still make the spell able to the cast while moving. Lightning Shield now persists through death. Totems will no longer cause hostile creatures to enter combat with the Shaman based on proximity. Searing Totem‘s Searing Bolt now has a 2-second cast time (up from 1.5 seconds), but casts faster with Haste, and its damage has been increased by 120% 65%. Unleash Elements (now Enhancement only) has been split into different versions based on specialization. Enhancement: Unleash Elements is now available only to Enhancement Shaman, and now increases attack speed by 60% (up from 50%), and increases the damage of the Shaman’s next Fire spell by 40% (up from 30%), but no longer deals direct damage or requires an enemy target. Elemental: Unleash Flame has been made into a separate ability available only to Elemental Shaman, and now increases the damage of the Shaman’s next Fire spell by 40% (up from 30%), but no longer deals direct damage or requires an enemy target. Restoration: Unleash Life has been made into a separate ability available only to Restoration Shaman, and now heals an ally and increases the effect of the Shaman’s next direct heal by 30%. Unleashed Fury now provides similar benefits, but applied as buffs to the Shaman instead of debuffing an enemy. Elemental and Enhancement both suffer from having their damage split among so many damage sources that none of it feels impressive. So with a little whacking and trimming and consolidating they hope to make it feel better while keeping overall damage about the same. They’re also tweaking the ability to cast while moving and how Haste works. You mastery is being changed. The new Multistrike stat is redundant with the old Mastery. Your new Mastery, Molten Earth (below,) adds a “Damage over Time” effect. if you liked Mastery before, favor Multistrike instead if your new Mastery for the same effect. Chain Lightning and Earthquake were also improved significantly to offset the fact that Elemental Overload was a massive buff to it, but Molten Earth is not. Elemental Overload is now a regular passive ability and is no longer increased by Mastery. It grants 35% increased Multistrike damage and healing, and an additional 20% to Multistrike chance. It also increases the amount of the Multistrike stat gains from all sources by 5%, serving as Elemental’s Secondary Stat attunement. Molten Earth is a new Mastery for Elemental Shaman. Molten Earth causes the Shaman’s damaging spells to incite the earth around to come to their aid for 6 seconds, repeatedly dealing Fire damage to their most recently attacked target. Earthquake’s damage has been increased by 33%. Elemental Shaman Mana regeneration has been increased by 50% to compensate for the removal of Rolling Thunder. Fulmination now causes Elemental Blast, Lightning Bolt, and Chain Lightning damage and multistrike damage to always generate an additional Lightning Shield charge, up to a maximum of 15. Earth Shock will consume any charges beyond 1, dealing their total damage to the enemy target. Shamanistic Rage no longer reduces Mana costs while active. Thunderstorm no longer regenerates Mana. Blizzard feels that Enhancement also suffers, along with Elemental, from having damage split among too many abilities, none of which feel mighty. They’re fairly happy with the overall damage so want to trim and tweak abilities such that there are fewer, more effective, abilities doing about the same overall damage. You’re note that there are a lot more tweaks for Enhancement than for Elemental. Enhanced Weapons is a new passive ability available to Enhancement Shaman, causing main-hand weapon attacks to have a chance to trigger 3 extra attacks, and off-hand weapon attacks to deal additional fire damage. Lava Lash damage has been increased to 280% weapon damage (up from 140%) to compensate for the removal of Searing Flames. Flurry’s duration has been increased to 30 seconds. Maelstrom Weapon now also increases the direct healing of affected spells by 20% per application. Feral Spirit‘s Spirit Wolves no longer have the Spirit Bite ability and their damage has been increased by 300%. For Enhancement Shaman Unleashed Fury now grants 5% increase Multistrike chance instead of causing auto-attacks to trigger Static Shock. Ascendance for Enhancement now changes the Shaman’s auto attacks and Stormstrike to deal Wind-based physical damage that bypasses armor. Earth Elemental deals 90% less Auto Attack damage but generates 1000% more threat. Flurry has been redesigned. Melee haste effects now reduce the global cooldown and cooldowns of Earth Shock, Fire Nova, Flame Shock, Frost Shock, Lava Lash, Static Shock, Stormstrike, and Unleash Elements. Magma Totem’s damage has been increased by 100%, and now ticks faster with Haste. Maelstrom Weapon’s chance to trigger has been reduced by 20%. Primal Earth Elemental’s Pulverize ability no longer deals damage. Restoration Shaman had the most passive and smart healing of any healer, and so received some reductions in that area, along with buffs elsewhere to keep them competitive. Healing Tide Totem now heals all party or raid members, but amount healed per target has been reduced to compensate. Water Shield now only triggers from melee attacks. Mana costs for Restoration Shaman have been adjusted to compensate. Resurgence no longer requires Water Shield to be active. Chain Heal now heals each chain target for 10% less than the previous target. Elemental Blast now also grants increased Spirit for Restoration Shaman, in addition to the random secondary stat. Spirit amount granted is equal to double the random secondary stat amount. Multiple Earth Shields can now be applied to the same target. Healing Stream Totem’s mana cost has been reduced to 10% of base mana (down from 23.5%), and its healing has been reduced by 50%. Riptide’s healing has been adjusted to put significantly more of it into the initial heal. The initial heal amount has been increased by 70%, while the periodic healing amount has been reduced by 20%. Unleash Life no longer increases the healing from Healing Rain but its direct healing has been increased by 100%. Glyph of Chaining no longer causes Chain Heal to have a 2-second cooldown. Water Shield now persists through death. Level 60: Ancestral Swiftness can no longer turn Hex into an instant-cast spell. Level 60: Echo of the Elements has been redesigned. The Shaman’s spells and abilities have a chance to trigger Echo of the Elements, causing their next short-cooldown spell or ability to not trigger a cooldown. Elemental: It may be used on Frost Shock, Earthquake, or Lava Burst. Restoration: It may be used on Unleash Life, Purify Spirit, or Riptide. As with some of the above, different effects depending on your spec. All of the 15-90 talents are pretty much the same as they were in Mists of Pandaria, other than a few details. Restoration: Cloudburst Totem: Summon a Water Totem that will collects and stores power from all healing spells and Multistrikes over 15 seconds. When the totem is done the stored power is released, healing all injured allies, within 40 yards, for a total of 20% of the amount stored, split evenly among them. As you might expect there are a few new glyphs. Glyph of Ephemeral Spirits: Reduces the cooldown on Feral Spirit by 60 and reduces the duration by 15 sec. Glyph of Frostbrand Weapon: While your weapon is imbued with Flametongue Weapon, your attacks also slow the target’s movement speed by 50% for 3 sec. Note that while Flametongue wpn has been removed, this glyph takes the name and keeps some of the ability’s effect. Glyph of Ghostly Speed: Ghost Wolf grants an additional 60% movement speed, but can no longer be used while in combat.This effect is disabled in battlegrounds and arenas and cannot be combined with other temporary speed bonuses. Glyph of Grounding: Reduces the cooldown on Grounding Totem by 3 sec. Glyph of Lava Spread: Increases the radius at which Lava Lash spreads Flame Shock by 8 yards. Glyph of Reactive Shielding: Your Lightning Shield can now trigger once every 1.5 sec. Glyph of Shamanistic Resolve: Shamanistic Rage reduces damage taken by an additional 30% but the cooldown on Shamanistic Rage is increased by 60 sec. Glyph of Shocks: Increases the range on Earth Shock, Flame Shock, Frost Shock, and Wind Shear by 5 yards. Glyph of Purify Spirit: Purify Spirit now has a maximum of 2 charges, but its cooldown is increased by 4 sec. Glyph of Spiritwalker’s Focus: Reduces the cooldown of Spiritwalker’s Grace by 60 sec, but reduces its duration by 7 sec. Glyph of Spiritwalker’s Aegis: When you cast Spiritwalker’s Grace, you become immune to Silence and Interrupt effects for 5 sec. There are various glyphs changes in the works, in addition the new ones. I assume that there will be addition changes as time goes on. Glyph of Totemic Vigor: Increases the health of your totems by 2% of your maximum health, down from 5%. Another glyph change, affecting everyone, is that certain glyphs will be automatically learned as you level. Just like your abilities. This will be a nice change. All of the rest of the glyphs will be available, as usual, from the Auction House or your friendly neighborhood scribe. At 90+ there are no new abilities to be head, instead you will get “Perks.” Each of the perks enhances an existing ability, such as for +20% damage. The perks are awarded randomly from the list of possible perks, so two characters with two perks each might well have completely different perks. By level 100 you will have them all. Note that the perk list may well change by the time WoD is released. Improved Reincarnation: Increases the health that you Reincarnate with by an additional 50%. Enhanced Chain Lightning: Each target struck by your Chain Lightning or Lava Beam increases the damage done by your next Earthquake by 40%. Improved Lightning Shield: Lightning Shield gains 5 additional maximum charges, and Lava Burst and its multistrikes can now generate additional Lightning Shield charges though Fulmination. Enhanced Unleash: Your Unleash Elements ability also causes you to gain 30% increased movement speed for 4 sec. Improved Flame Shock: When your Flame Shock deals damage over time, you have a 15% chance to reset the cooldown of Lava Lash. Improved Maelstrom Weapon: Maelstrom Weapon now also causes your spells to deal 10% additional damage per stack of Maelstrom Weapon. Improved Chain Heal: Increases the healing on the primary target of your Chain Heal spell by 50%. Improved Riptide: Reduces the cooldown of Riptide by 1 sec. Racial changes – both for the purposes of updating things and the removal of Hit & Expertise there will be some racial changes. For example, the Draenei will be losing their +1 Hit, but gaining an boost to Str, Int, and Agility. In PvP the Resilience stat is gone. Taking its place will be damage modification and larger health pools. Crowd Control has also taken a big whack, which is fine by me. Anything you’d like to add? Comment below.